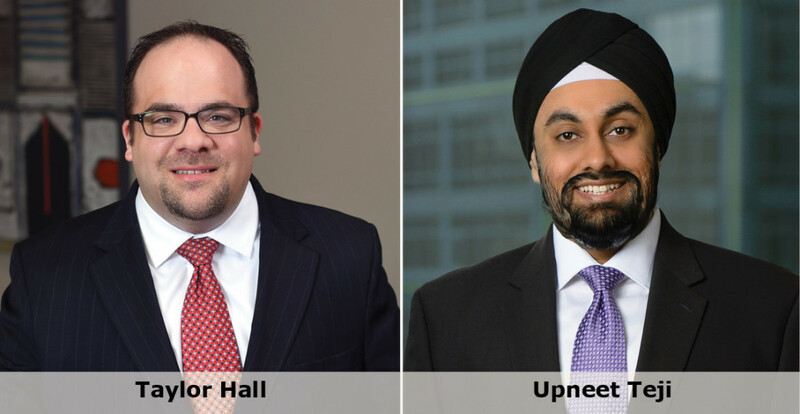 Congratulations to Taylor Hall and Upneet Teji, whose CLE presentation “Real Estate Issues Arising in M&A Transactions” was selected by the Illinois Institute for Continuing Legal Education as a top 10 program of 2016. The program addresses issues to consider and best practices in drafting real estate and underlying transaction documents for M&A deals. Hall and Teji are officers in Greensfelder’s Business Services practice group. See IICLE’s “Best of the Best” listing of the 10 highest-rated sessions from 2016 here.